The photos at this exhibition are a culmination of three years of work by photographer Jim Huylebroek, commissioned by the Norwegian Refugee Council in Afghanistan.The photos are a compelling visual legacy of the human stories Jim encountered; preserving moments in time of individuals and families often forced to flee their homes in search of safety, a better life, a home, or simply a roof above them. 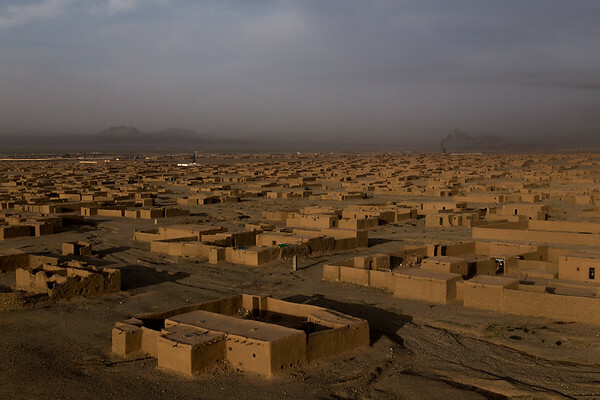 The Maslakh settlement for IDPs in Herat, Afghanistan. The majority of families living in Maslakh arrived between 1999 and 2002.